New Christmas Singles "Mighty Christmas" and Oh LIttle Town of Bethlehem"
Going for Adds November 9! My whole life Merry Christmas, simply meant, “Hey, happy Christmas to you.” But, what if merry didn’t mean happy? Think about it. Remember Robin Hood and his Merry Men? It wasn’t Robin Hood and his happy-go-lucky cheerful men joyfully jumping up and down in tights. No, in the old English, merry meant mighty or powerful! Whatever you are dealing with this Christmas season, remember, this is either a Happy-go-lucky safe and boring Christmas or this is a powerful and Mighty Christmas where Jesus, Emmanuel, God is With Us. With his beloved glasses and infectious energy, Tim Timmons lights up every room with his love for Jesus and His people. After leading worship at Mariners Church in California for 15 years, Timmons moved his family to Nashville to dive into his own music full time. With 2 full-length releases under Provident records, Timmons is known for his raw, honest lyrics that are birthed out of his own personal journey. Diagnosed with terminal cancer in 2001 that doctors said would leave him with only 5 years to live, he learned to lean into Jesus and the unknown and live as if he will be healed. With his health improving 17 years later, he’s defying everyone’s expectations and savoring each day. In the midst of writing his own music, Timmons has penned songs for other releases, as well. Most recently was the chart-topping success, Even If, released by MercyMe. Nominated for a Grammy and Dove Award, the track took home Song of the Year at this year’s K-LOVE Fan Awards. 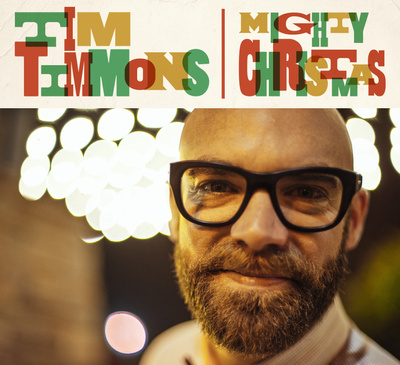 Timmons toured with MercyMe in the Spring and just finished the Imagine Nation Tour with the group and Tenth Avenue North this fall. Two years ago, Timmons founded 10000 MINUTES, the non-profit equipping ministry that invites people to practice Jesus' words and principle in every minute of their week, not just the 80 minutes that the church is gathered each Sunday. Executed through various creative outlets such as live performance, weekly blog, podcast, video, songwriting, devotionals, worship leader interaction, speaking, film/TV production and conferences, 10000 MINUTES reaches over 8k via email and over 10k via text each week. Through the ministry, Timmons has been able to release a kid’s EP, Who I Am, that he’s been able to share with thousands of kids each summer. To learn more about 10000 MINUTES or to read Timmons’ weekly blog, visit www.10000minutes.com.